It’s amazing how much useful information you can find in the operator’s manual for your Sprinter. It’s not the most scintillating of reads, but it’s definitely educational. A good proportion of the questions asked on the Sprinter forum are easily answered by reading the manual. If you don’t have yours for some reason, you can get the most recent version online, or you can download PDF versions for model years 2010 and up. The PDF version is great, because it’s searchable. 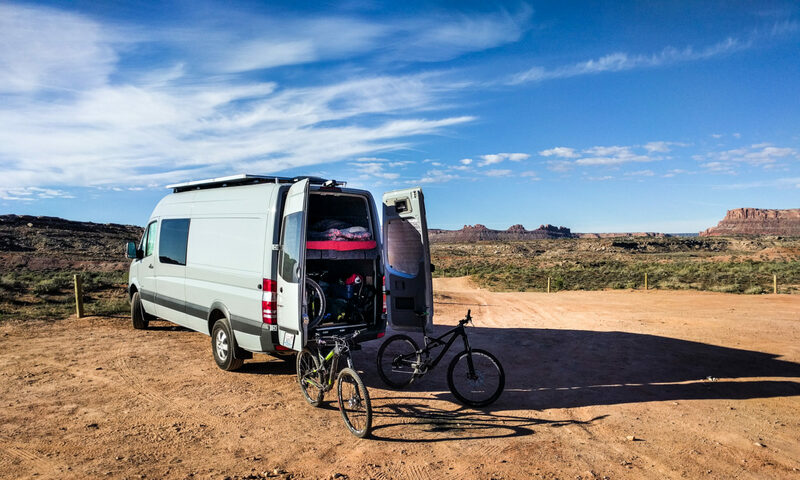 If you are in the middle of a van conversion, you may also want to read the Upfitter’s Manual (Body and Equipment Guidelines). Ah, now this is a different story all together. First off, this isn’t a mid-80s Ford. That Haynes manual you used to rely on just wouldn’t cut it any more. Lots of procedures on a Sprinter van require as much programming as they do wrenching. That aside, there are no aftermarket print manuals for 2007+ (NCV3) Sprinter vans. You have a couple of digital options though. We have not (yet) used any of these options. There’s a 2007 manual floating around on the forum. It has issues, but it’s something for nothing so no use complaining. Many parts are still the same on newer vehicles. Others have changed considerably. Update: we converted the manual format to work on newer computers. Get a copy here. Daimler’s own site (CVtekinfo.com) costs $60 for 24 hours access, up to $3098 for one year’s access. Requires you to install Acrobat reader and Java. There are eBay sellers listing a dubious DVD that contains a virtual disk image of the Mercedes dealer repair information. I’m purposefully not linking to them, but you can find them if you really want to. Just search “Mercedes WIS ASRA” on eBay. You can buy a Chinese clone of the Mercedes STAR SD Connect and XENTRY systems which do full engine diagnostics and also come with the WIS + ASRA information. Again, no links here but look on AliExpress or eBay. AllData, who provide diagnostic and repair information to independent shops, have alldatadiy.com for individuals. 1 year subscription to the online content costs $26.95. If you have an older (Dodge) NCV3, SRM have a manual for you on CD for $66. They also have versions for T1N Sprinters for $45. Another T1N option is this weird looking Kindle book on Amazon. It mainly seems to cover UK 2000-2006 Sprinters, but there’s a lot of overlap between those and the US versions. You don’t need a Kindle to read the content – there are Kindle Reader apps for Windows and Mac too. So, all-in-all not a good set of options for you. There are some really good sources of information out there. Mostly hidden away until someone stumbles across them. If one of these resources looks like a personal labor of love or a slightly questionable use of certain data, don’t go abusing the site. Diagnostics for engine issues for T1N 01-06 vans from Oregon Fuel Injection (and in PDF format, too). Sprinter Westfalia repair CD and wiring schematics (Sprinter Source forum link). Some random T1N service and parts information is online. However, you have to do some work digging through all the files on this server to find what you need. This information was originally collated by Jens Moller and is now hosted by Arnie_Oli of the Sprinter forum. Sprinter wiring diagrams (NCV3 and T1N). Because of the lack of good manuals, lots of people ask questions on the sprinter-source.com forum. There are several full-time mechanics who answer questions, as well as a whole bunch of DIY-ers. The best way to ask a question is to first search for similar issues that other people have experienced. If you find one, it will either answer your question or give you a good place to reply to the existing thread and describe how your issue is the same but different. List the threads you looked at which seem to be the same, but point out why your issue is different. Say what other sources you’ve used to try and diagnose the issue. Explain your level of technical competence. Explain your issue using descriptive language that would make sense to anyone reading it, not just to you the original poster. That includes describing the year and model of vehicle you have, the colors of the wires you are referencing, the specific part numbers you are enquiring about, the particular noises the parts are making and how that differs from normal, and so on. Pictures help too. Say what you’ve done to try and resolve the issue already. Say what has changed on the vehicle in the last couple of months. For instance, did it just get serviced? Did you just change out the turbo resonator? Even if it seems unrelated, the things you’ve changed may provide clues to those who want to help you. Remember the forum is a free resource and so the information you receive from forum members has only as much value as you paid for it. But if you find it useful, hit the “Thanks” button.